The are many sites that list Kath's recordings which I will include as I find them. If you know of any others, please email me, Peter Courtley and I will update - thanks. An excellent site run by David Taylor devoted to the British modern jazz musicians who, from the late 1940s to the early 1960s pioneered the music in the UK. Johnny Shakespeare, Bunny Layzell, Hank Shaw, Harold Luff (tp), Don Lang, Jack Waters, Stan Smith (poss), (tb), Peter Howe (cl,as), Ronnie Chamberlain (cl,as,sop), Kathy Stobart, Vince Bovill (poss) (ts), Bill Collins (bs), Dill Jones (p), Al Ferdman (g), John Quest (b), Peter Coleman (d), Vic Lewis (dir). Johnny Shakespeare, Bunny Layzell, Hank Shaw, Harold Luff (tp), Don Lang, Jack Waters, Stan Smith, (tb), Peter Howe, Ronnie Chamberlain (cl,as,sop), Kathy Stobart, Vince Bovill (ts), Bill Collins (bs), Dill Jones (p), Al Ferdman (g), John Honeyman (b), Peter Coleman (d), Vic Lewis (dir) + percussion. West Indian Ritual/Sunday Girl/High On A Windy Hill/No Orchids. Micky Meene, Norman McCaskill, Johnny Oldfield, Harold Luff (tp), Don Lang, Stan Smith, Mac Minshull (tb), Peter Howe, Ronnie Chamberlain (cl,as,sop), Kathy Stobart, Vince Bovill (ts), Jack Phillips (bs), Dill Jones (p), Al Ferdman (g), John Honeyman (b), Peter Coleman (d), Vic Lewis (dir). Harlem Holiday. (Fourteen other titles recorded have not been issued). Elegy For Alto*/I Told Ya I Love Ya/Collaboration/Metronome Riff. (Eight other titles recorded have not been issued). Big band probably including Ronnie Chamberlain (as), Kathy Stobart (ts), Dill Jones (p), Pete Rugolo (arr), Vic Lewis (dir). Safranski/You Was (vocal)/Inspiration*/Harem Holiday/Heir To A Chinese Maiden*. Micky Meene, Harry Finch, Paul Berman, Harold Luff (tp), Don Lang, Stan Smith, Tony Russell (tb), Peter Howe, Ronnie Chamberlain (cl,as,sop), Kathy Stobart (ts,vcl), Vince Bovill (ts), Bill Collins (bs), Arthur Greenslade (p), Alan McDonald (b), Peter Coleman (d), Vic Lewis (dir). Don't Smoke In Bed (vcl KS). He Was A Good Man/Idaho/Old Black Magic (FB vocal)/Lover Come Back To Me. Johnny Brown, Ronnie Baker, Dave Loban, Johnny Harris (tp), Bobby Lamb, Johnny Watson, Alec Gould, Rusty Hurran (tb), Ronnie Chamberlain (as,cl,sop), Bernard Allen (as), Kathy Stobart , Terry Fahey (ts), Brian Rodgerson (bs), Pete Moore (p), Dave Willis (b), Kenny Hollick (d), Vic Lewis (dir). Dizzy Reece (tp), Johnny Rogers (as), Kathleen Stobart (ts), Eddie Thompson (p), Jack Fallon (b), Don Lawson (d). I've Got You Under My Skin/I Can't Get Started/Good Queen Bess/52nd Street Theme. 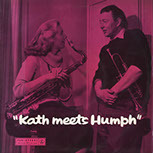 Kathy Stobart joined the mainstream band of Humphrey Lyttelton in 1957 as a temporary replacement for Jimmy Skidmore when the latter had a spell in hospital. 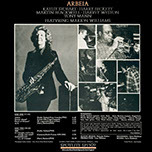 She played on and off with the band for many years and as recently as the 1990s was still appearing and recording with him. Her modern style fitted very well and she gets plenty of solo opportunity on the Lyttelton records. Humphrey Lyttelton (tp), Eddie Harvey (tb), Tony Coe (as,cl), Kathy Stobart (ts), Ian Armit (p), Brian Brocklehurst (b), Eddie Taylor (d). Gee Baby Ain't I Good To You*. Personnel as November 25th, except John Picard (tb) replaces Eddie Harvey. In A Mellotone*/Kath Meets Humph*/Moten Swing*. Buona Sera/Blues In The Afternoon. Humphrey Lyttelton (tp), Tony Coe (cl), Kathy Stobart, Jimmy Skidmore (ts,cl), Ronnie Ross (as,cl), Joe Temperley (bs,b-cl), Ian Armit (p), Brian Brocklehurst (b), Eddie Taylor (d). Sleepy Time Down South*/Blue And Sentimental*. Say forward, I'll March*/Russian Lullaby*/Talk Back*/One For Buck*/An Evening In Soho*/The Jumpin' Blues*/Blue Mist*/The Swingin' Birds*/Poor Butterfly*/Bernie's Tune*. On March 12th, 1972 The Humphrey Lyttelton band recorded a live concert at the Musikhalle in Hamburg for the German Wam label. Humphrey Lyttelton (tp,cl), Bruce Turner (as,cl), Kathy Stobart (ts), Mick Pyne (p), Dave Green (b), Tony Mann (d). Let's Get In*/Late Night Final*/PTQ Rag/Dadbo*/The Comet*/Blues At Dawn*/Let's Get Out*. Humphrey Lyttelton (tp,cl), Bruce Turner (as,cl), Buddy Tate (ts,cl) Kathy Stobart (bs,cl), Mick Pyne (p), Dave Green (b), Tony Mann (d). Kansas City Woman*/The One For Me*/Pamela*/Candyville*/Outswinger*/Steevos*/Clarinet Lemonade*/Swinging Scorpio*. Humphrey Lyttelton (tp), Kathy Stobart (ts,bs,sop), Bruce Turner (as,cl), Mick Pyne (p), Dave Green (b), Tony Mann (d), Elkie Brooks (vcl). Take It From The Top/Madly/Big O'l Tears/Sprauncy/Lion Rampant/Very First Kiss (vcl)*/Oh Babe Maybe Someday (vcl)*/We Fell Out Of Love*/Rain/Don't Get Around Much Anymore(vcl)*/I Let A Song Go Out Of My Heart (vcl). Kathy Stobart (ts,sop,bs), Joe Temperley (bs,ts), Mick Pyne (p), Dave Olney (b), Tony Mann (d). Softly As In A Morning Sunrise*/My Funny Valentine*/Tickletoe*/Drop Me Off At Harlem*/In A Sentimental Mood*/Blues In The Closet*/Crazy He Calls Me*/Cottontail*. Humphrey Lyttelton (tp,cl), Kathy Stobart (ts,bs,sop), Bruce Turner (as,cl), Mick Pyne (p), Dave Green (b), Tony Mann (d). Mo Pas Lemme Ca*/Triple Exposure (Hazy/Crazy/Blue)/Ory's Story*/Vive Le Roy/Blues In Bolero*/You're Lucky To Me/Mezzrow. Harry Becket (tp,fhrn), Kathy Stobart (ts,sop,f), Martin Blackwell (p,el-p), Harvey Weston (b,el-b), Tony Mann (d,cga), Marion Williams (vcl). 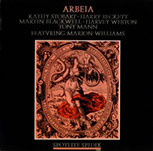 Arbela*/Detour Ahead (vcl)*/Pieces Of Dreams (vcl)*/As Is*/2HS*/If I Thought you'd Ever Change Your Mind (vcl)*/Enchanted Into Cry Of Triumph*. Humphrey Lyttelton (tp), Roy Williams (tb), Bruce Turner (as,cl), John Barnes (cl,ts,bs), Kathy Stobart (ts,bs), Mick Pyne (p), Dave Green (b), Adrian McIntosh (d). Rockin' In Rhythm/Yorkville/Late night Final/One For Buck/Never No Lament/Movin' And Groovin'/Basin Street Blues/South Winds. Humphrey Lyttelton (tp,cl), Pete Strange (tb), Alan Barnes, Kathy Stobart (reeds), Stan Greig (p), Dave Cliff (g), Paul Bridge (b), Adrian McIntosh (d). Rock Me Gently/Top N'Tail/Jack The Bear/My Funny Valentine/Frankie And Johnny/Sea-lions' Siesta/Lester And Herschel/Heads Or Tails/Royal Flush/Sydney My Man/Tribal Dance/If We Never Meet Again/The Lady Of The Lavender Mist/St. Louis Blues. Humphrey Lyttelton (tp,cl), Pete Strange (tb), Jimmy Hastings (cl,fl), Kathy Stobart (ts,bs,cl), Stan Greig (p), Paul Bridge (b), Adrian McIntosh (d). Hear Me Talkin' To Ya/Someone To Watch Over Me/Madly/Blues For Chloe/Serenade To Sweden/The Lord Is Listenin'/A Good Buzz/One For Al/The Swinging Scorpio/Beale Street blues/Moten Swing/St. James Infirmary/Mezzrow/I Got Rhythm. Humphrey Lyttelton (tp), Pete Strange (tb), Jimmy Hastings (cl,fl), Alan Barnes (as), Kathy Stobart (ts,bs), Joe Temperley (bs,sop), Ted Beament (p), Paul Bridge (b), Adrian McIntosh (d).